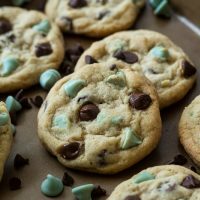 I took my favorite chocolate chip cookie recipe, one of the oldest on my site, and added a healthy dose of mint chips. I decided not to add any mint extract because the flavor from the mint chip was strong enough. If you like extra mint flavor, go ahead, but depending on how much you use, things can start tasting like toothpaste fast. 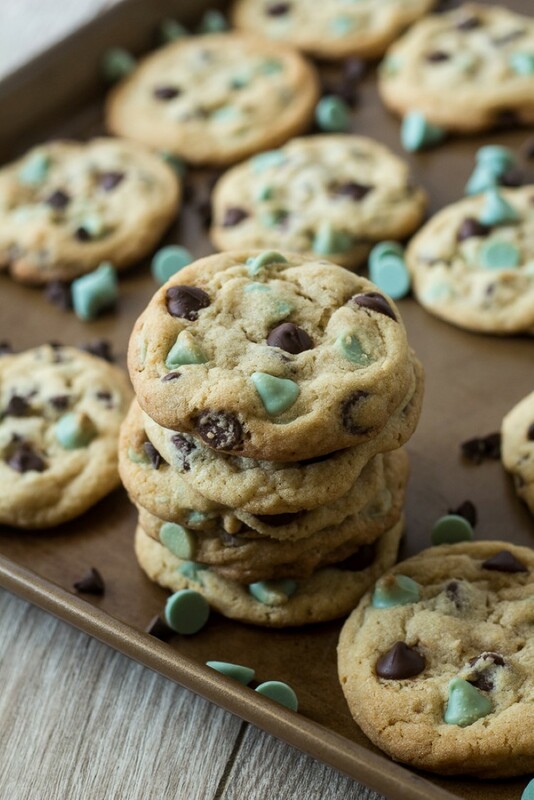 This mint chocolate chip cookie recipe is from scratch, but it’s just as easy as any other simple chocolate cookie you’ve made. Simply cream the butter and sugar together, beat in eggs and vanilla, and stir in the dry ingredients. 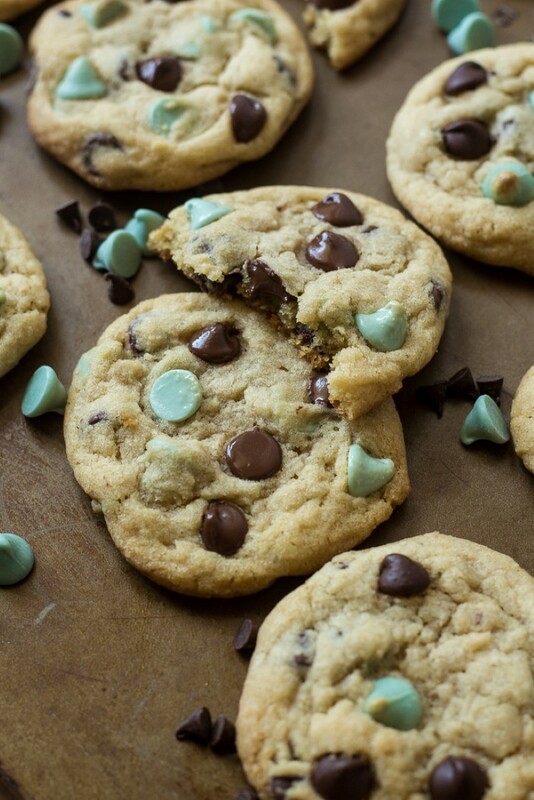 Then add the chocolate chips and mint chips. 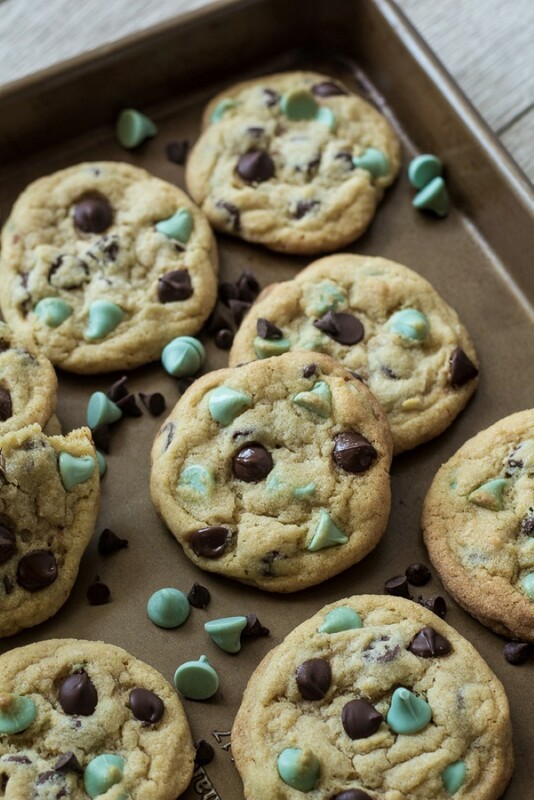 Mint chips are easy to find around Christmas, but the rest of the year they can be hard to find. I’ve found ordering them online is the best. Here is a link to them on Amazon. Making perfect thick and chewy cookies can be a little finicky. The temperature of your ingredients has a huge impact on how the cookies will spread in the oven and the amount of protein in the flour impacts how much liquid is absorbed. Different brands of all purpose flour can have different protein amounts. Even different batches of the same brand can have differing protein levels. I use cornstarch in the recipe. 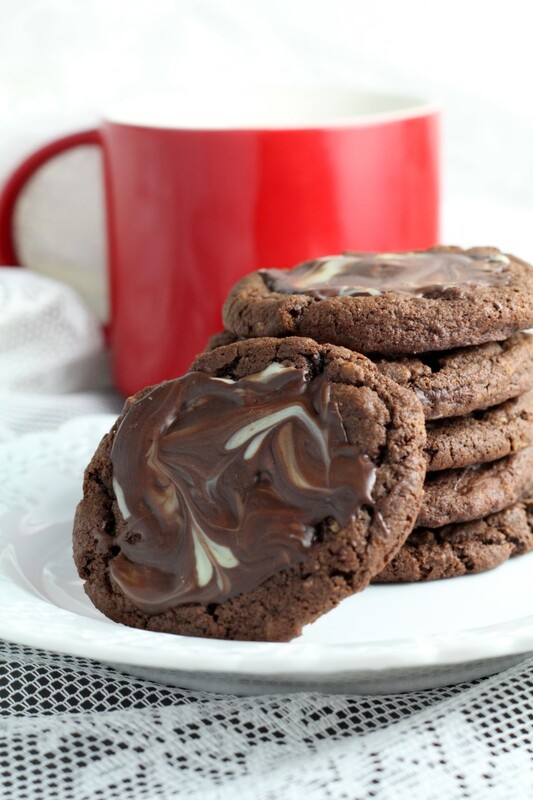 If you’ve heard of pudding cookies, you know how thick they are. Cornstarch has the same effect. The trick is to balance all the factors. The recipe below calls for chilling them for 2 hours. If you chill them too long though, the cookies may not spread. I recommend, baking a test cookie right after you mix up the dough, see how much they spread and go from there. If they are perfect, bake up the rest. If they spread too much, chill them for an hour and see how much they spread. If you need to make the dough up ahead of time and refrigerate the dough, you may need to let the dough come to room temperature before baking. Cream butter and sugars together. Beat in egg and vanilla. In a separate bowl combine flour, cornstarch, baking soda and salt. Add to wet ingredients. Stir until well combined. 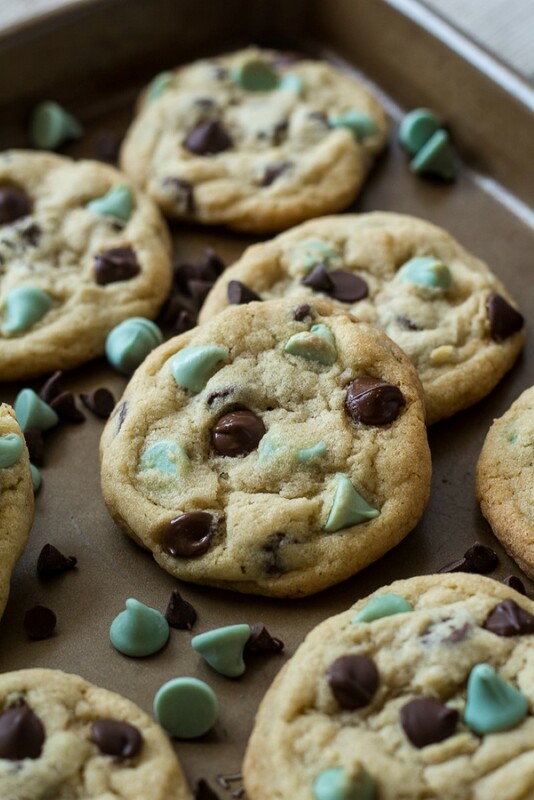 Stir in mint chips and chocolate chips. Form into balls about an inch or slightly more in diameter. Allow to cool on the cookie sheet for 5 minutes and then cool completely on wire rack. 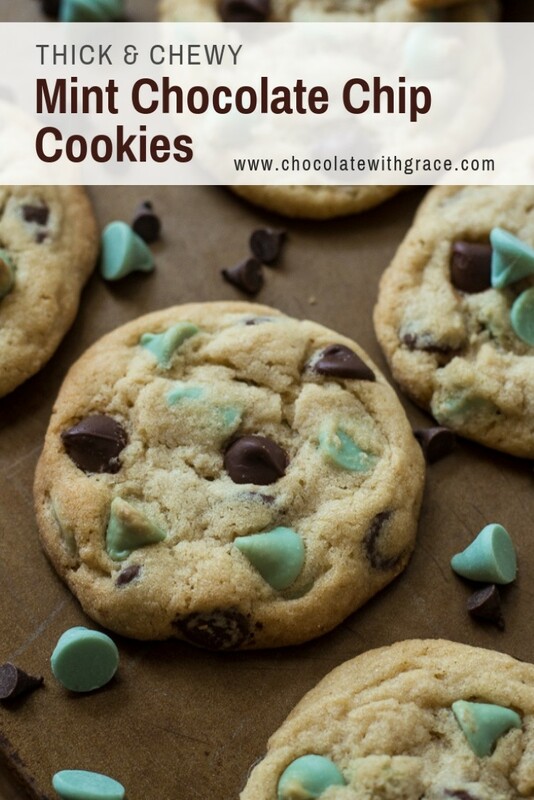 Try these Andes Mint Cookies next, they are one of the most popular cookie recipes on my site.